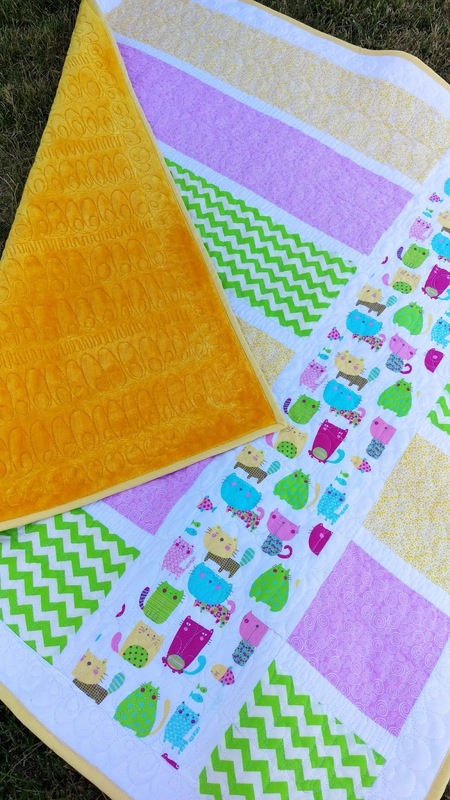 We've had numerous comments (good and bad) about our Easy Baby Quilt. Because we wanted to make certain our directions were correct and because one of my wonderful friends is about due to have a baby, I decided to recreate the quilt again. I used the measurements found on the diagram for the Easy Baby Quilt, and I can, with complete certainty, verify the measurements are correct. However, you must cut accurately and make sure seams are exactly 1/4".